The wine cabinets TASTVIN combine all the essential elements with the pleasure of an easy use. 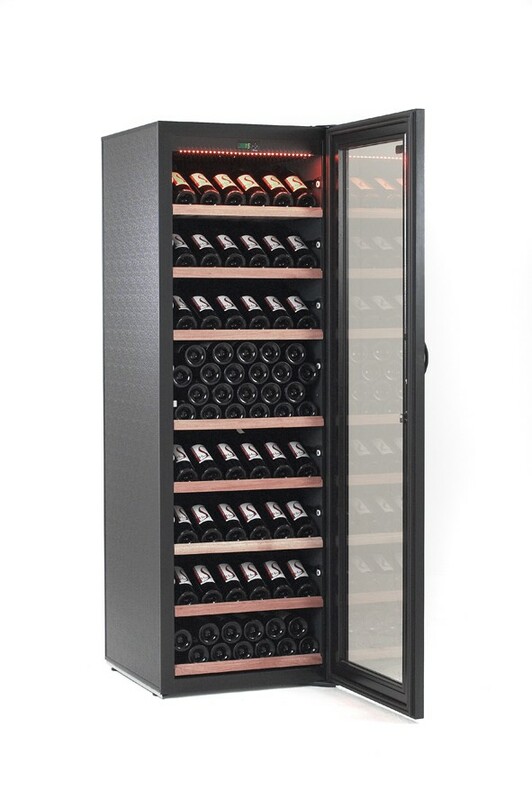 The unique manufacturing process of the wine cabinets TASTVIN, a technology and top-quality components, a refrigerated circuit that allows the resumption of the humidity, a natural ventilation, an optimal insulation without CFC and an aluminum structure. Every wine cabinet is assembled by hand which gives the most strong and reliable wine cabinet to assure optimal conditions for your wines. The wine maturing cabinets TASTVIN can contain between 32 and 400 bottles. They have a double circuit of warm and cold, device elaborated on an indpendant panel from the cabinet. You can modify your wine serving cabinet TASTVIN with different options : smoked glass door (anti UV), standard shelf, champagne shelf or magnum shelf. The shelves are sliding on pull out rollers for individual storage or fixed for piling up. A large choice of colours to perfectly integrate your wine cabinet with your environnement. The reputation of reliability of the wine cabinets TASTVIN is strengthened by exceptionally long conditions of guarantee : 10 years and 5 years ! Offer your wine the cellar it deserves. A wine cabinet is intended for the maturing of wine, often for several years. The use of the best materials, the manufacturing methods and the functionng gives the wine cabinet an exceptional longevity.